Speakers is a medium to convert the electrical signal into the physical waveform that people can hear. The way speakers are designed and made have a big effect on their sound-signature. Earphones also have almost the same design-concept with speakers and can be thought of as the microcosm of technological integration in the acoustic field. To be productive, they must be sturdy, easy to handle, and have a good appearance. Especially, it is not easy to raise the perfection of the product which satisfies both sound and design at the same time. 'CampfireAudio Andromeda' in-ear headphone can be one of the best solutions in the current Head-fi market. When you first get the "Andromeda", you will be surprised at the extremely small size of the package box and its overly rich composition. The container case inside of the package is made of thick dark brown leather so that it does not get crushed even by the external impact. Its copper-colored zipper and the lambs-wool lining looks classy and gorgeous. There are label pins, cleaning tools, 3 kinds of ear-tip sets in the package. Also, a warranty and product manual with unique art design. The emerald-colored Zirconium blasted aluminum shells and the silver bolts fixing it emit the beauty of a gemstone, while simultaneously feeling the cold mechanical atmosphere. Overall, the shell's color is delicately anodized and the detail of the nozzle or connector is made to a high standard. However, it is expected that there can be a cumbersome fit due to the short nozzle compared to the size of the units. I recommend using a Spin-fit ear-tips contained in the package, or one-step larger ear-tips than usual. The stock cable is made of silver-plated copper Litz wires and a polished aluminum Y-splitter. Using flexible sheathing and twisting the wires tightly, there are no worries about microphonic. The MMCX connectors are made of beryllium plated, so that durable enough to be firmly fixed and well compatible with even other brand products. It is really good to see, but due to the polished material on the Y-splitter, there is a matter that it is easily scratchy. The ends of ear-guides are not warped well, which made uncomfortable to wear. 'Andromeda' knows how to make people enjoy music. The most notable advantage shows in the expression of the sound-stage. The stage is drawn in a wide circle around the listener, and the reverberations of each session spread out towards the audience. Of those, the mainly mastered session sounds a slightly little bit ahead. As if, 'Andromeda' gives the impression that it is playing music only for one person. Thanks to this, even if the harmonics of the certain range are recorded too much, the details of each session are not easily burred, which helps to enjoy more diverse genres of music. However, it may give difficulties if need to professionally monitor the location of sound-stage. The harmonies of mid-range and treble are dry, densely reverberant and have a bright tone. The sibilance is exposed to some extent, but it rolls off quickly before reaches the level of fatigue, so the harmonies of cymbals, string instruments, and female vocals are heard airy and comfortably. This sibilance may be emphasized strongly on the sound source which its high dynamic range is recorded unstably. Among the ear-tips in the package, Spin-fit ear-tips welly keeps the tone and detail of the sound-signature stably. If the sibilance is still annoying, using the marshmallow memory-form ear-tips enclosed. With this memory-foam, ear-tips can reduce the irritating part of the treble. But because they tend to blur the details of the bass by boosting at mid-low bass, you should make a decision on choosing the ear-tips depending on the sound-source environment. The amount and reverberation of bass are richer than mid and high range. There is an emphasis on 100Hz, and the roll-off attenuation of the deep bass is strong, so can feel the drums and the bass strings’ texture well. However, with the fast response feature, the weight of bass seems to present deficiency of bass depth. Due to ‘Andromeda’s low impedance and high sensitivity, very sensitive to output noise. It is better to match the low output devices such as portable music players than the stationary systems. I’d like to recommend that you listen with a well-recorded sound-source because it catches the noise flow of the sound-source easily. And because the response characteristics of the mid-range are largely changed according to the cable matching, it is better to use it with cable products with neutral sound-signature. 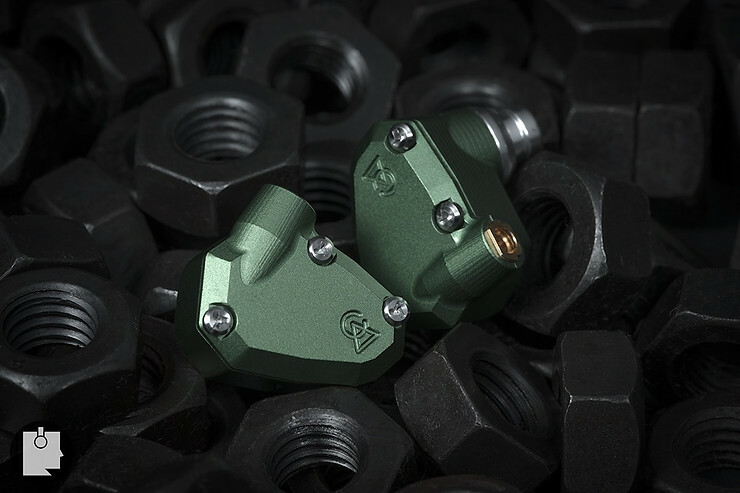 The CampfireAudio Andromeda was offered by ‘Campfire Audio’. The content of the review has been written without any restriction because the authors' freedom is respected.